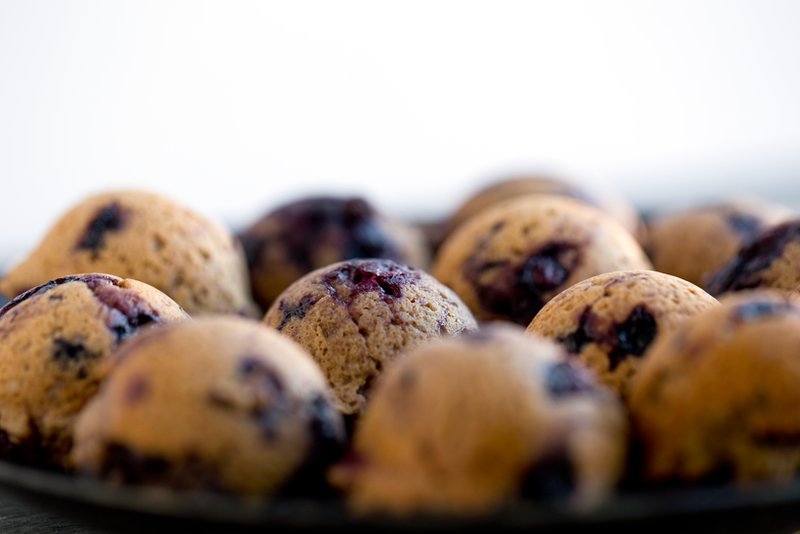 Today I am sharing a fall recipe that is perfect for pairing with your favorite pumpkin spice latte or tea..
Read my guest blog post over on the Wild Blueberries website! 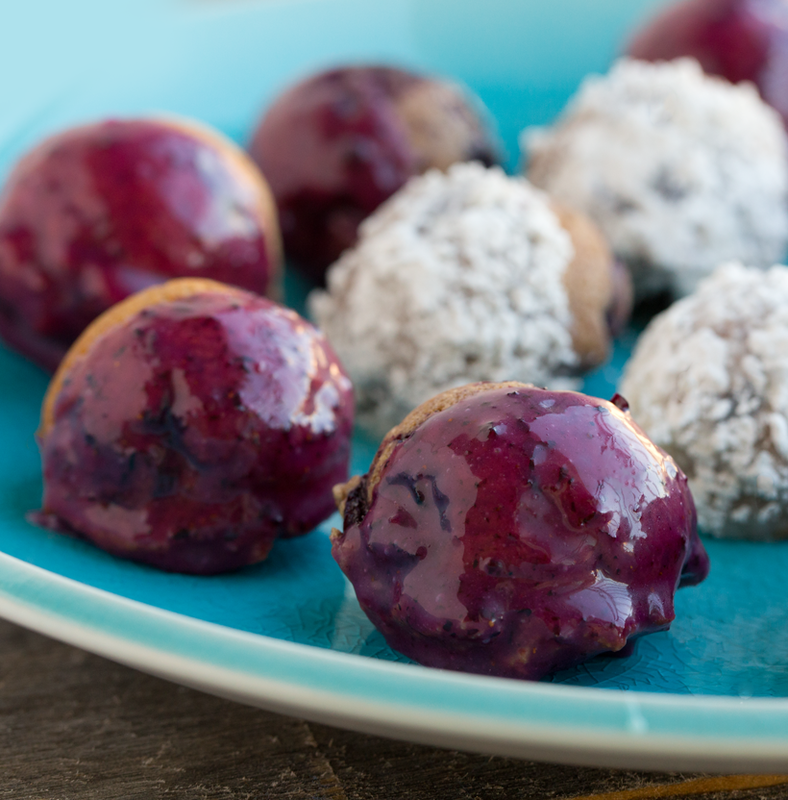 Today's recipe.. Wild Blueberry Donut Holes with an easy Wild Blueberry glaze. Get excited about these Donut Holes! 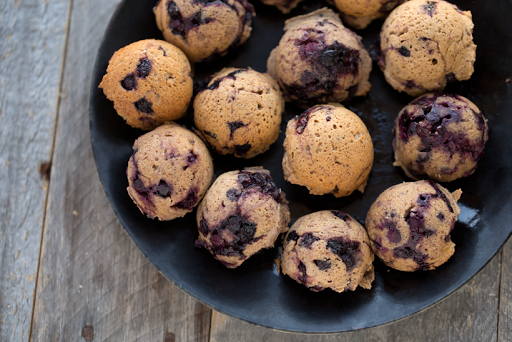 These perky little donut holes are fluffy, loaded with wild blueberries and bake up quickly. They are perfect paired with your favorite fall latte or herbal tea. I love them as a mid-mornng snack, paired with my matcha latte. I also love them in the afternoon around four o'clock when I need a pick-me-up. Healthy Treat! Since these donut holes are baked, they are much healthier than a "fried" donut. 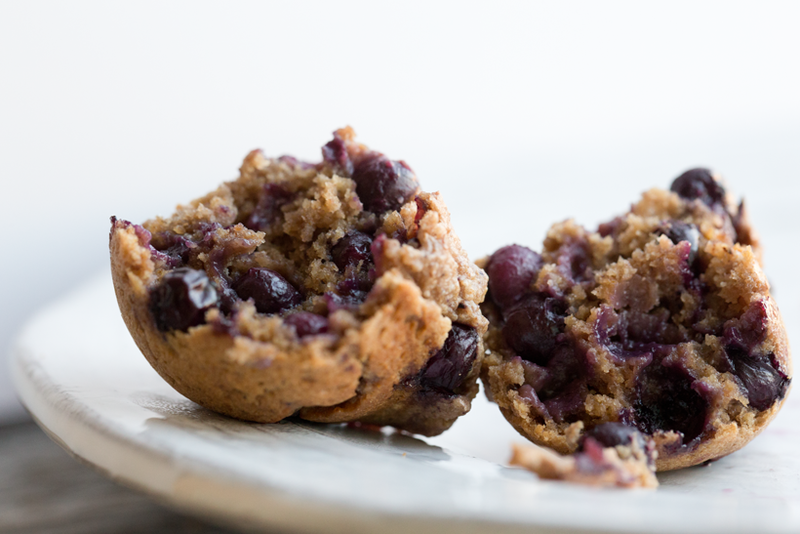 Plus anything loaded with Wild Blueberries is going to be a nutrition boost to your day. The optional frosting adds a bit of decadence. I love when these chill in the fridge and the frosting glazes over firmly. The frosting is optional, but totally dreamy and adds to the pretty presentation with a bright pop of purple-blue color. 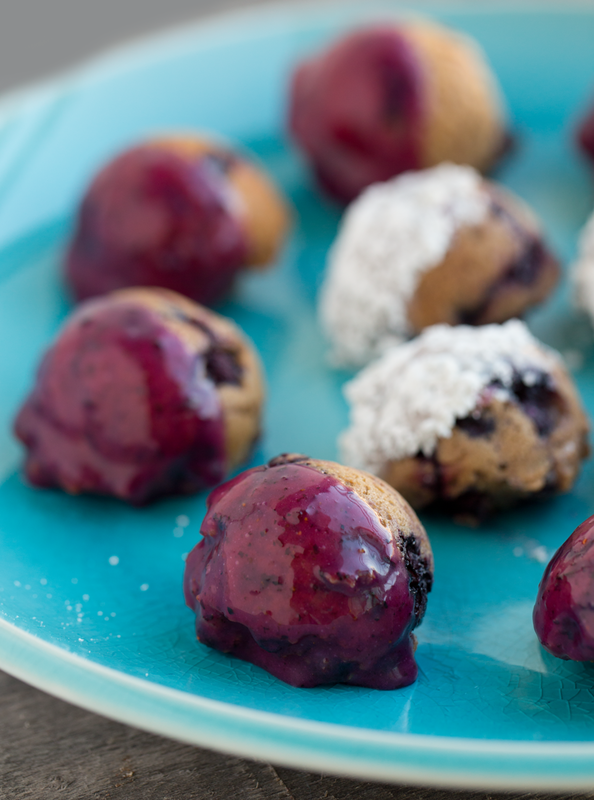 These delicious wild blueberry donut holes are fluffy and filled with antioxidants. Disclosure: This post is sponsored by Wild Blueberries of North America, but all opinions are my own.